Hiya guys! It's such a beautiful day in Jersey and the flowers in my garden are actually starting to blossom. Although I love flowers, I cannot always be around them due to allergies. Not to worry though, my equivalent has always been crelly polishes. Maybe that's just the polish addict in me leaking through again, haha. 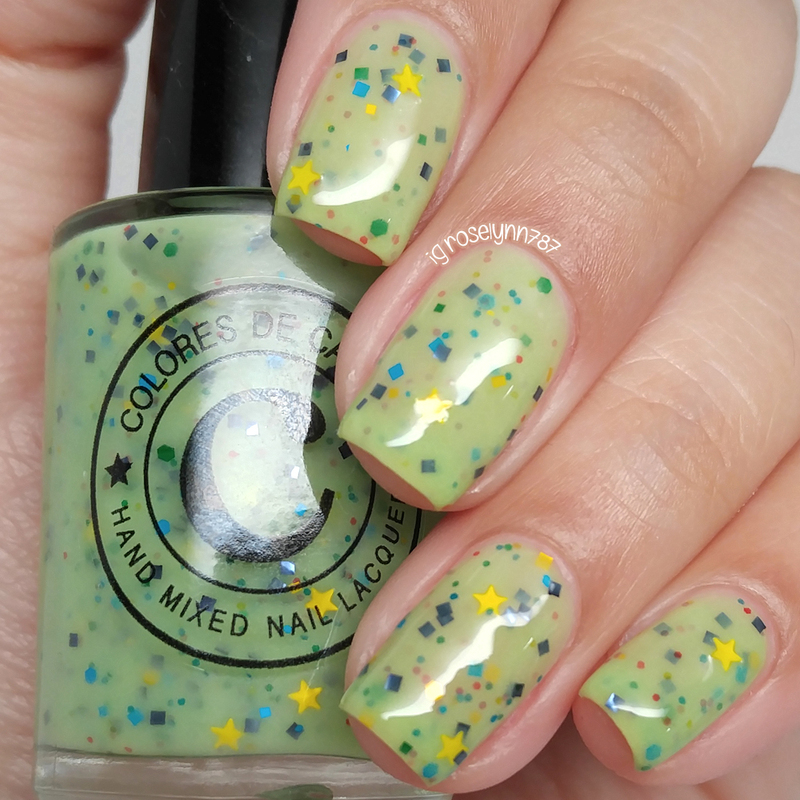 Today I am sharing some swatches for five newly released Spring crelly polishes from Colores de Carol. I'm very excited about these because I haven't seen too many crellys yet this year. Let's go head and dive right in! 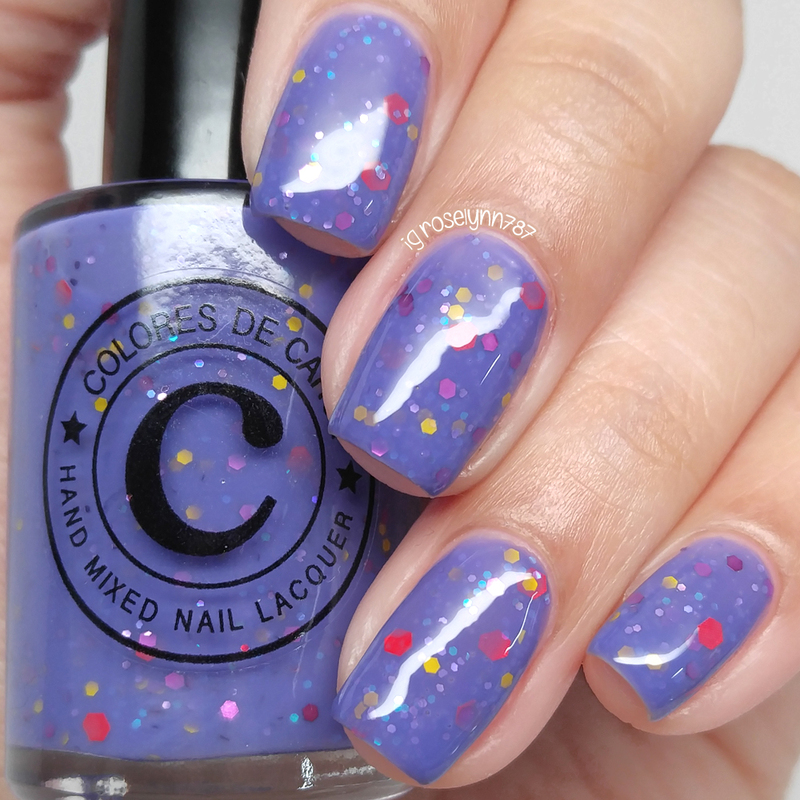 The Spring crelly polishes from Colores de Carol are now available for purchase. Each full-size bottle is sold individually and retails for $10.00. Carolina has graciously given my readers a 10% off coupon code MMARVELOUS applicable to any order. 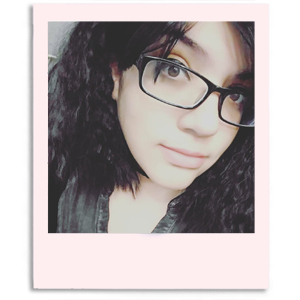 Kiana can be described as a white crelly base with rainbow glitter in various sizes and shapes. Definitely my pick as favorite and must-have. 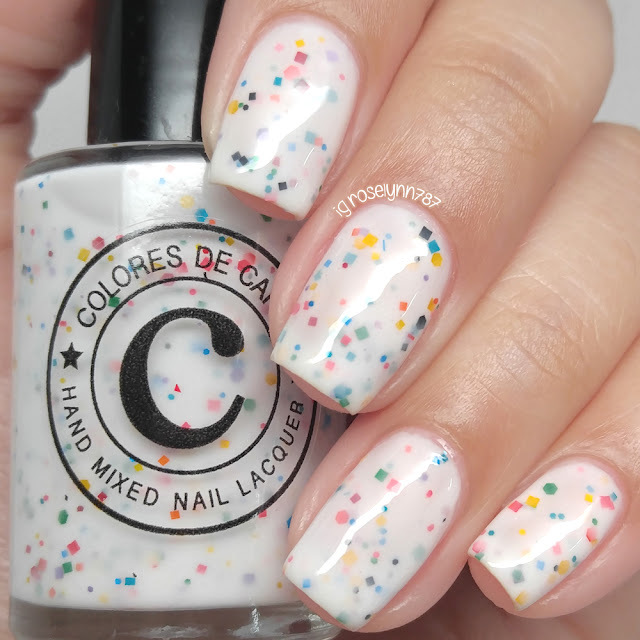 I am always a fan-girl when it comes to white crelly polishes especially rainbow delicious ones. Doesn't this make you think of funfetti?! The formula has a really smooth application with great self-leveling. Ample glitters in each brush stroke as well. Shown here in two coats and sealed with a glossy topcoat. Noe can be described as a bright purple crelly base with iridescent blue/purple glitter, a combination of blue, pink, yellow and neon red glitter. I love how much the glitters stand out against the purple. The formula has the same consistency and needs a bit of a dabbing on the second coat. All the glitters apply, including the larger hexes, without the need to fish. Shown here in two coats and sealed with a glossy topcoat. 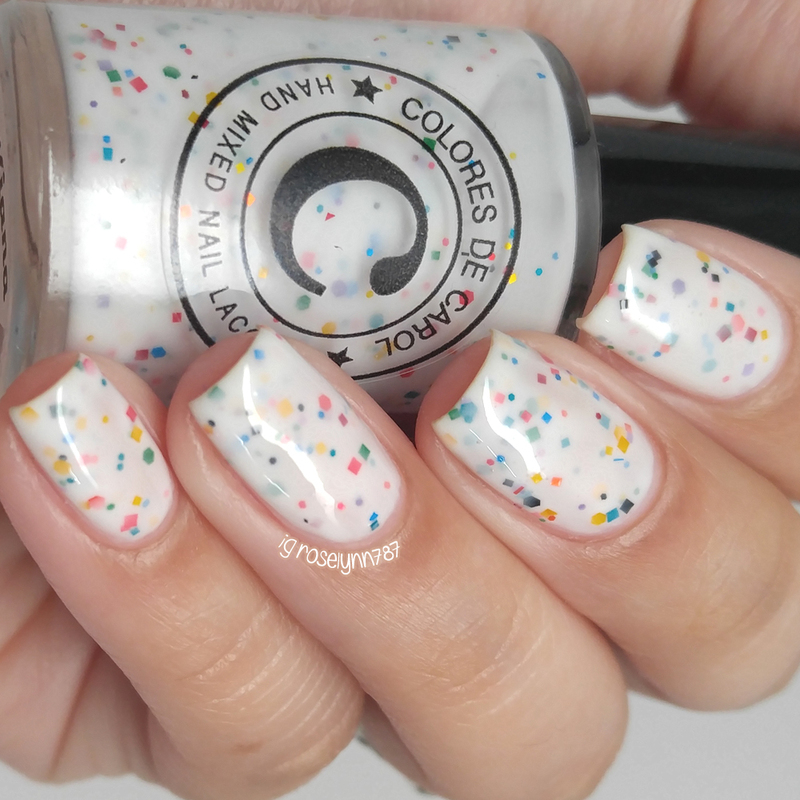 Celestia can be described as a baby blue crelly with pastel dots, blue/green iridescent glitter, a mix of multicolored small square glitters, black and white bars and white mini stars. Again, same formula and consistency with this one as well. The black bar glitters were a little sparse, but it ended up not overwhelming the nail which I appreciated. Shown here in two coats and sealed with a glossy topcoat. 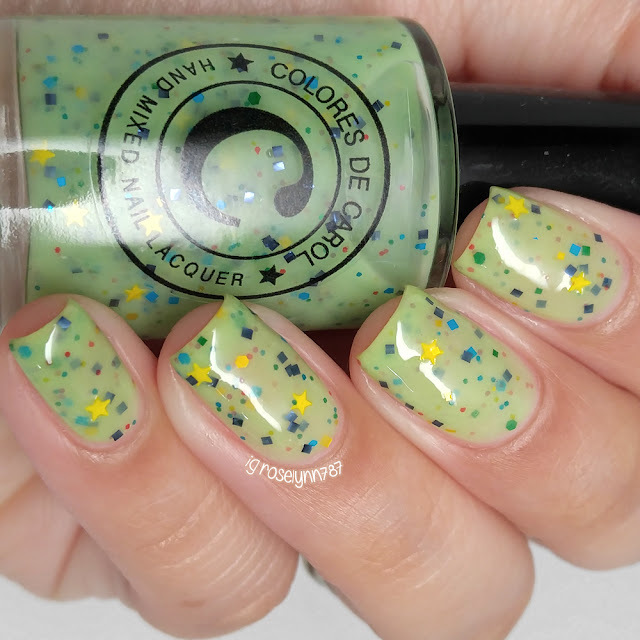 Serpentine can be described as a minty green crelly base with small rainbow glitter, light and navy blue glitter matte yellow hex and mini yellow stars. My other must-have pick! That's even a surprise to me considering I don't normally like green polishes at all. There is just something really fun and unique about this combination that makes it irresistible to me. Formula wise this one was the only one I felt needed a third thin coat to achieve an opaque finish, The star glitters were applied with a bit of dabbing placement. Shown here in two-three coats and sealed with a glossy topcoat. Farrah can be described as a soft pink crelly base with light blue glitter, holographic silver shimmer, small periwinkle hex glitter and matte sugar plum triangles. Shown here in two coats and sealed with a glossy topcoat. Overall these crelly polishes have definitely got me in the mood to celebrate Spring time. The color to glitter combinations are fun, girly, and cute to wear by themselves or as a base for art. I'm definitely a fan of the formula, all of them showed great consistency throughout. It is always nice when super heavy glitters don't need any fishing, huge plus in my book. So tell me guys, what do you think of this collection? Which shade is your favorite? 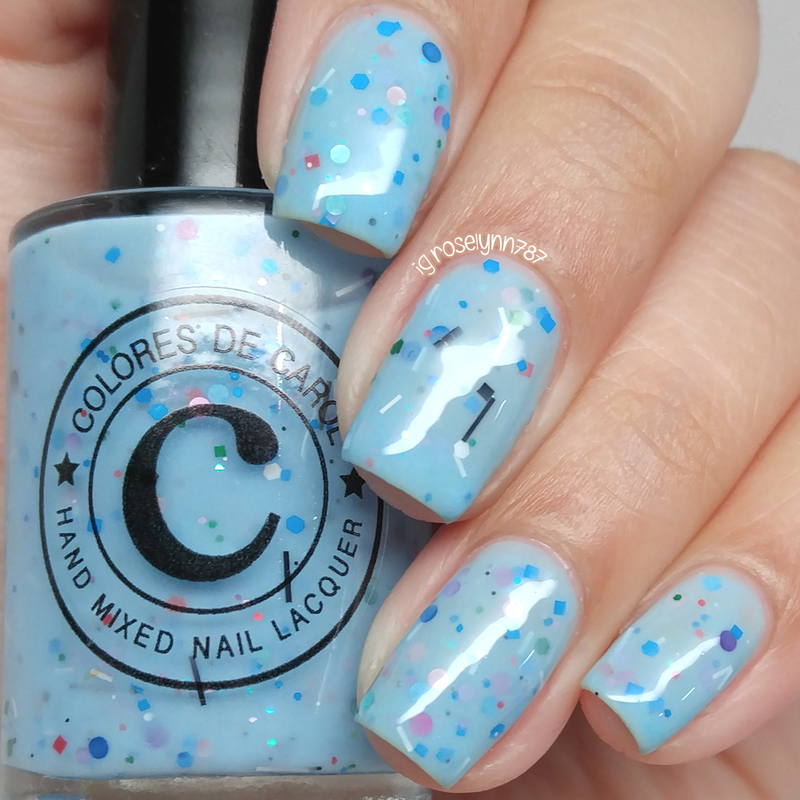 To recap, the Spring crelly polishes from Colores de Carol are now available for purchase. Each full-size bottle is sold individually and retails for $10.00. Carolina has graciously given my readers a 10% off coupon code MMARVELOUS applicable to any order. Kiana & Celestia are my favorite! These are all pretty but I especially love Farah! Thank you very much Roselynn for the amazing swatches and adorable review. Those are beautiful colours, and your swatches are gorgeous! Oh my goodness, these are so squishy and so amazing! I love Kiana!